The Lakeside Way multi-user trail offers visitors to Kielder Water & Forest Park a truly unique experience and gives access to the most scenic parts of the lake shore. It opens up opportunities to get closer to some of Kielder's abundant wildlife. 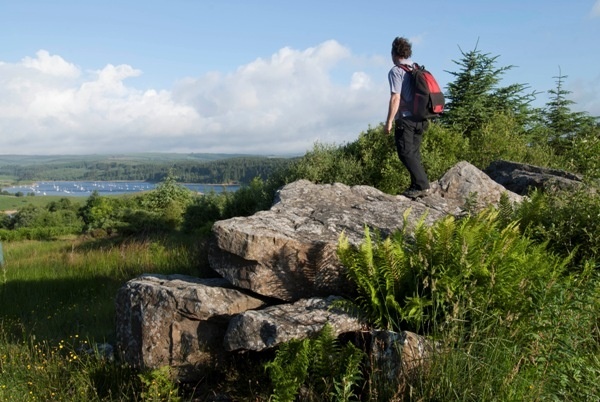 The path encircles Kielder Water's 27 mile shoreline and is almost 26 miles in total. It is suitable for walkers, cyclists, horse riders, mobility scooters and wheelchair users. Some routes incorporate the Osprey ferry. To be sure you don't miss the boat, we recommend checking in advance for sailing schedules and booking ahead. Also, the ferry has limited space for bicycles and wheelchairs so booking is advised. The Lakeside Way has a good surface which is suitable for comfortable walking boots, wellington boots or trainers. other motorised vehicles are permitted. For operational and safety reasons, sections of the Lakeside Way may be closed from time to time. Please check the current status of the path and the ferry timetable, if you are wishing to use it, before setting out. You can do this by contacting or visiting the visitor centres. It is advisable to pre-book the ferry by contacting Leaplish Waterside Park or Tower Knowe Visitor Centre. 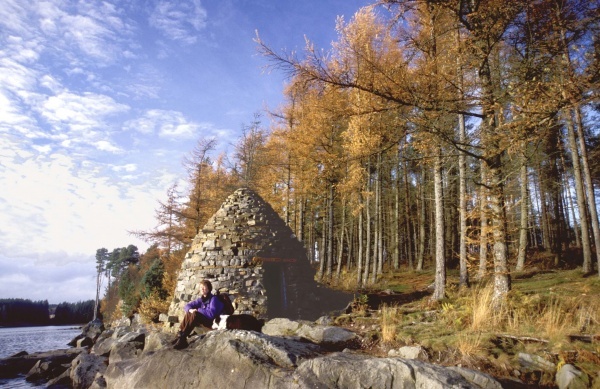 The south shore is approximately 14 miles in length, stretching from Kielder Dam to Kielder Castle Visitor Centre. It includes Tower Knowe Visitor Centre and Leaplish Waterside Park. distance is approximately 12 miles. Unlike the south shore, there are no visitor centres along the north shoreline so please be adequately prepared before setting out. Please note that there is no public vehicular access along the north shore. Parking is available at either end of the route at Hawkhope and Kielder Castle Visitor Centre. path. Remember to keep within your physical capabilities and follow the safety information contained in this leaflet. The listed durations are the approximate walking times based on an average walking pace of 2.5 miles per hour. Those wishing to stop and observe local wildlife, have a leisurely stroll or a picnic should allow for extra time.